When you visit new places, you probably want to experience the country like the locals. And now you can. Best-Kept Secrets is a new blog that highlights the lesser-known, must-visit attractions in the Latin American region. Even with the best guidebooks, new visitors to a country can often miss out on the small, local attractions that have so much to offer. 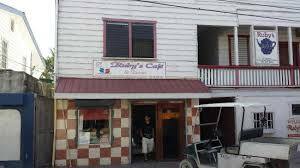 This series will be your treasure map, and weÂll always be sure to mark the top spots.Â One such location is RubyÂs CafÃ©, a true Best-Kept Secret on Ambergris Caye. 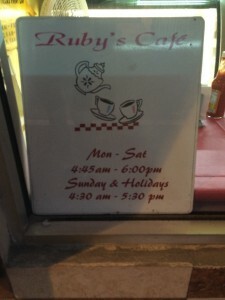 If you are an early bird, then you need to know about this when you visit Belize.Â Ruby's cafÃ© is open from either 4:30am or 4:45amÂ every morning, including Sundays and holidays, and they even have a generator in case there is a power outage.Â For coffee "must-havers," RubyÂs is the place to visit. Pair your coffee with a delicious, local treat. "Johnny Cakes" are a real specialty of the house.Â RubyÂs serves them with chicken and basically it's a biscuit (almost) with goodies tucked inside. The other Belizean treat they serve is a "Fry Jack," which is, as close as I can describe, a funnel cake that is triangular in shape.Â They are best eaten with mango or guava jam. We hope youÂve enjoyed this first edition of Hidden Treasure, and be sure to stay tuned for more uncovered secrets to enhance your travel experience.